A girl is kidnapped by Pakistani terrorists in Pahalgam, Kashmir. But this is no ordinary girl And her kidnapper is no ordinary man.In Delhi, Admiral Nirbhay Rana, India’s most strong-willed naval officer, watches as the consequences of a lethal operation from his past crash into the present, holding both his daughter and his country hostage. 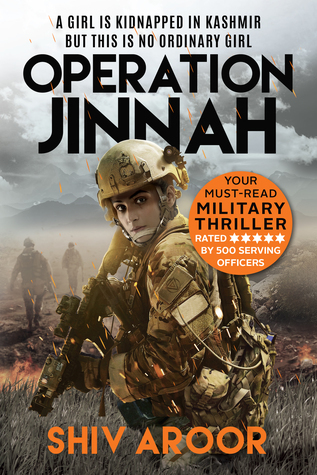 In New York, as the Indian prime minister plays a delicate game of politics with Pakistan’s prime minister and the US president, Admiral Rana must assemble the only team he trusts to get his daughter back – the very same group of commandos he had led into the heart of Pakistan-occupied Kashmir years ago. Will they make it back alive this time? Shiv Aroor is an editor and anchor at India Today TV and runs the popular defence news site Livefist. A journalist for fifteen years, he has covered conflict in Kashmir, Sri Lanka and Libya, winning two war reporting awards. This is his first novel. Out of all the books I received for review, this was one book that I was most excited about. I had my reasons - firstly the name, secondly the cover, third the blurb and fourth the author's profile. Someone who had witnessed wars so closely would have been able to write something very close to reality was what my expectation was from the book. And, I was not disappointed. Indo-Pak relations have always been a topic of discussion not only in political circles but also in movies and books. They make a very interesting case and the stories around them are one a many. After a point, it is difficult to tell what was truth and what was fiction. That is where books like this, take away the cake. With a perfect mixture of fact and fiction , author Shiv Aroor has managed to narrate a tale of revenge, politics and patriotism. When a book has real life as a backdrop, a lot of meticulous research is needed and the flawless plot-line is the proof for the amount of research put in by the author behind this book. It is very interesting to read the minute details giving more edge to the plot and characters. There are always people who say that in thrillers plot matters the most and characters don't. But refreshingly here the author invests equal amount of time and energy in building up the characters to add more layers to the plot. 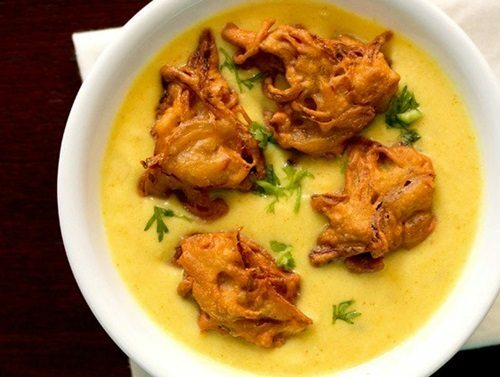 This book is like Punjabi Pakoda Kadhi - Cripsy and Spicy in a balanced fashion giving a delectable dish!